This is a repaint for the C47 Skytrain from the team of Manfred Jahn. Requires the C-47 Skytrain Exterior Base Pack 1.0 (C47BASEPACK.ZIP), optionally also the interior model tweak (C47_INTERIOR.ZIP). By Richard Wisman. Copy the folders " Texture=buffalo-C-GWIR " to your "Douglas_C-47" sub-directory in FSX. 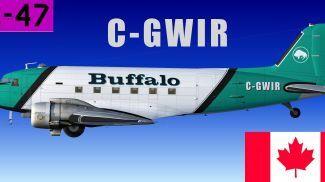 The archive c-47_buffalo_c-gwir.zip has 15 files and directories contained within it.